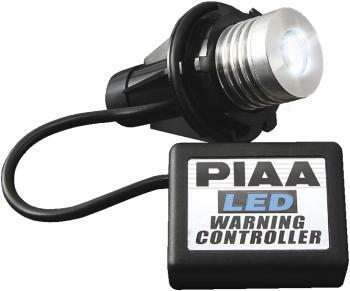 PIAA Bulbs - BMW LED Ring Bulb - Dezod Motorsports Inc - Home of the automotive performance enthusiast since 2002. PIAA exclusive! Thie BMW LED Ring Bulb and Socket assembly replaces the stock unit to give the vehicle’s headlamp ring a clean, white 6500 Kelvin brilliance. This upgrade changes the ring color from a incandescent yellow to a brilliant HID, matching the factory HID headlamps. Available for the 3-Series (E90), 5-Series (E60, E61, E39), 6-Series (E63) and X5 (E53).